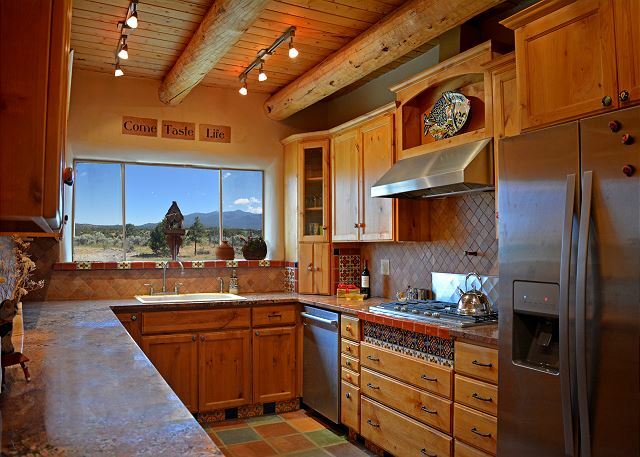 6 in 3 Master bedrooms, 3.5 bathrooms + large den for additional living space or optional 4th bedroom make this lovely home a haven for guests looking for flexibility and options. 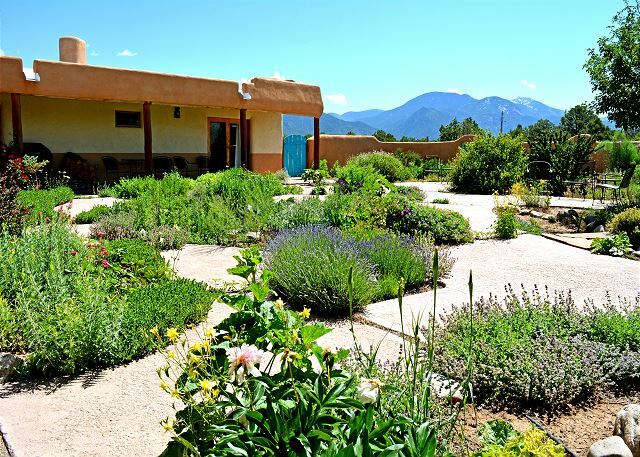 Panoramic Taos mountain views coupled with a sizable, fully enclosed and landscaped courtyard add serene ambiance to this treasure of a vacation home. There is room for everyone to stretch out and claim their own little corner of the world. The "L" shaped portal adds 600 square feet of covered outdoor patio living space. 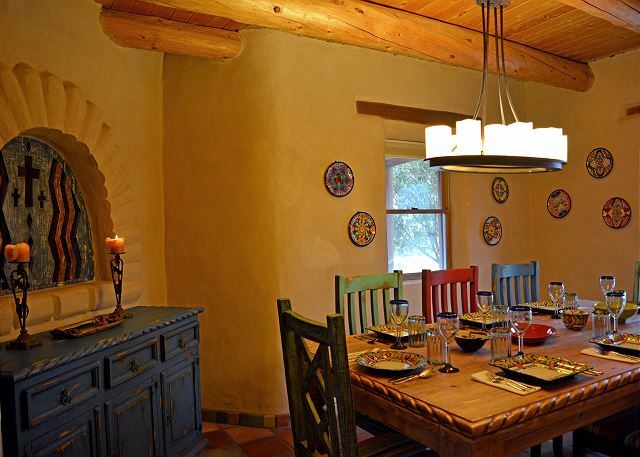 Enjoy alfresco dining, grilling, lazy day reading or old fashioned visiting with friends and family on this essential southwest architectural amenity. 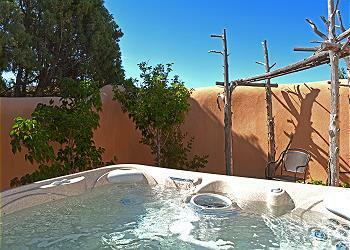 Set on a private enclosed patio across the courtyard is the large upgraded hot tub. 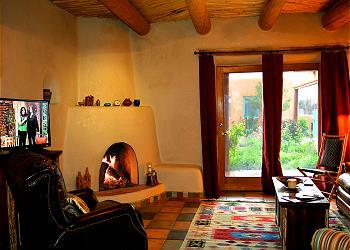 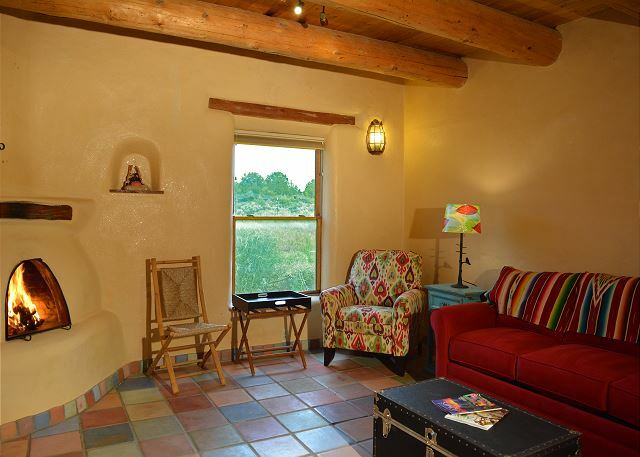 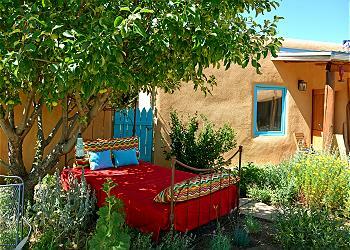 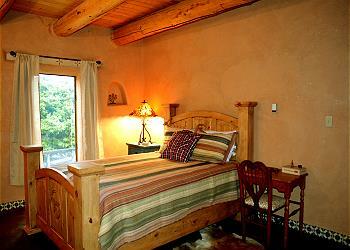 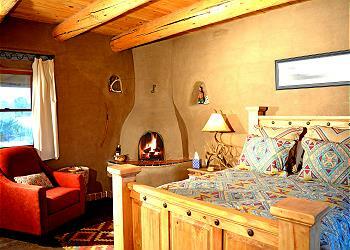 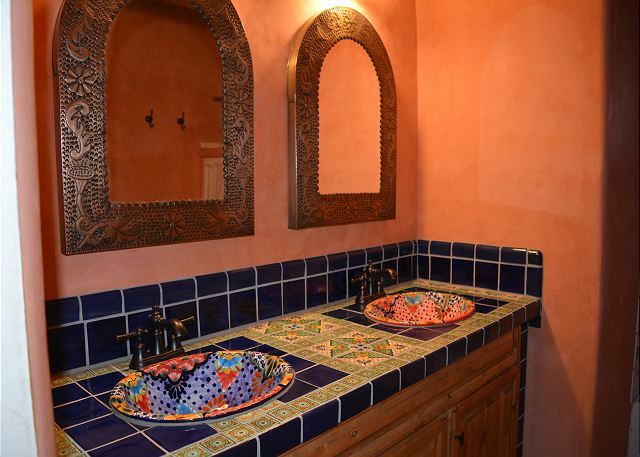 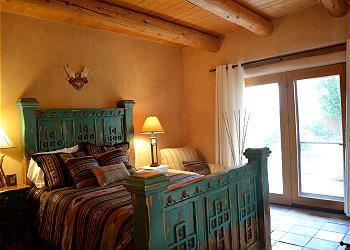 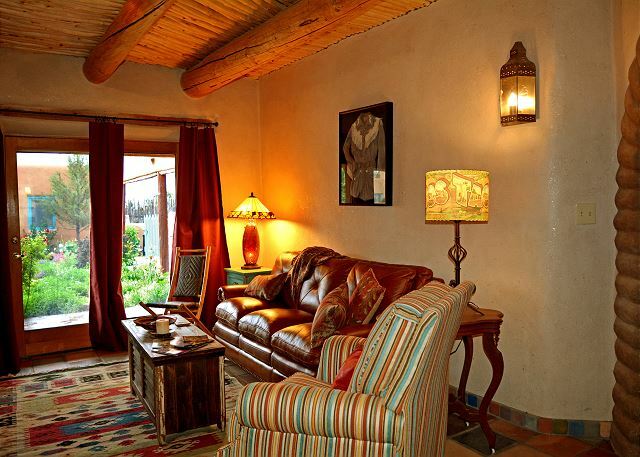 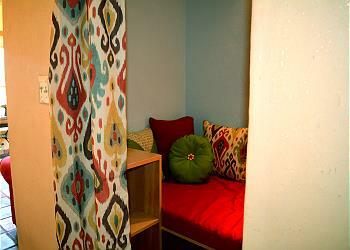 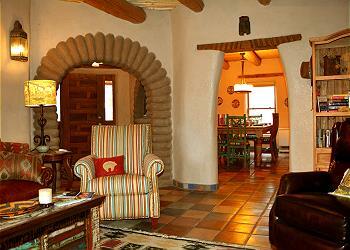 Guests marvel when stargazing Taos night skies so unaffected by earthly city lights. 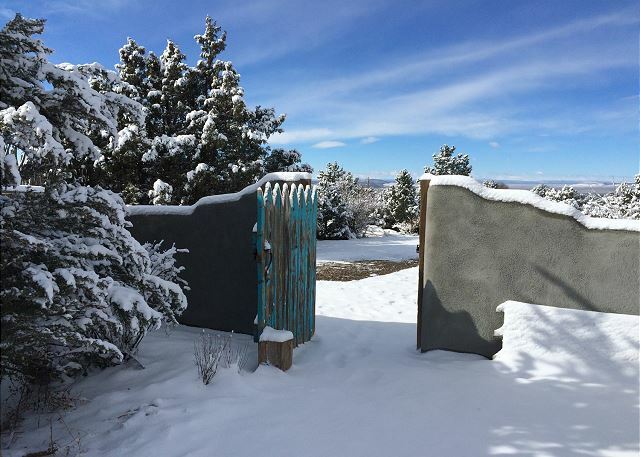 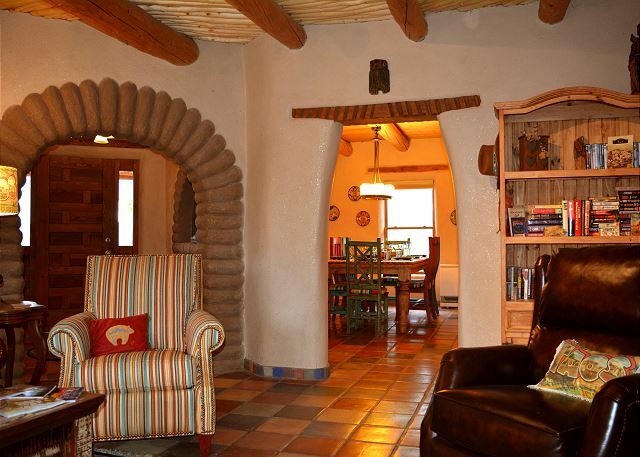 Guaranteed to be the "one and only of its kind" in Taos vacation rentals, is the grand old iron bed set under the "Little" apple "Tree". 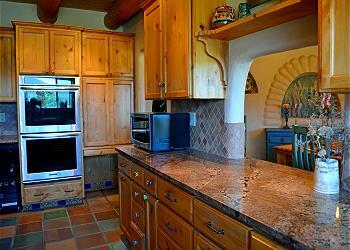 Apples are there for the picking in September and October. 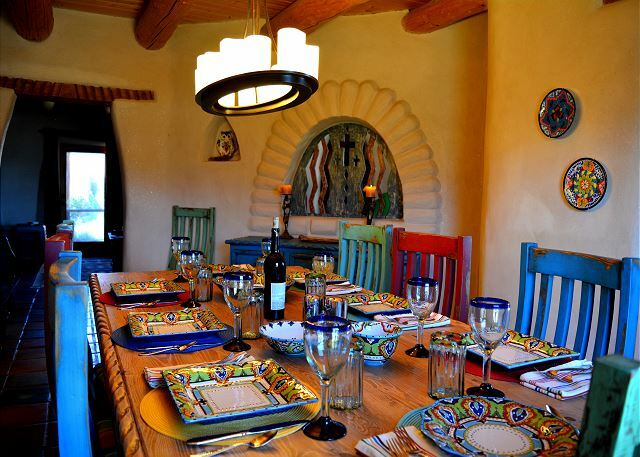 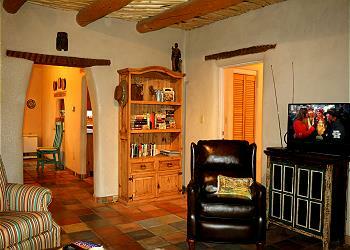 Vacation at Casa de Little Tree and your group will have memories to savor always.